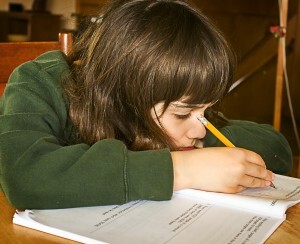 Expat Family Health » Is homework actually unhealthy? Do you know the recommended amount of homework for children? Even as an adult, though I use the term loosely, I hate homework. Until recently, I had been working as a language assistant, helping to teach English in a Spanish high school, or ‘instituto’. The hours are fantastic, as you are contracted to a 16 hour week with a three day weekend every week. Despite this, I still resented having to make lesson plans outside of this. When I’m at home, that is my time. I don’t want to bring work home with me; it would, after all, be unacceptable to bring home issues with me to work. And it’s not (entirely) laziness. I’m actually happier working longer hours, as long as it doesn’t spill out of the workplace. When I was a child, I also hated homework, and it turns out that it could have been with good reason, as new research has found that too much of it can have negative effects on health. As would be expected, young adolescents and teenagers are capable of studying for longer than young children in primary school. In the USA, the National Education Association and PTA recommend their “10-minute rule”, which suggests that children should do 10 minutes of homework each night for what grade they are in. I.e., a first grader would do 10 minutes, a second grader 20. But too many hours of study among any age group can lead to health problems such as ulcers, migraines, weight loss and high stress. Sleep disruption is also a concern, especially among kids whose screen addiction ought to be addressed. Of course, doing something detrimental to your health should mean it is not worth it, but that doesn’t necessarily stop people. We’re a world of promiscuous binge drinkers, throwing health cautions to the wind according to the media, but that is a lot more fun than doing maths equations. I think so anyway. Make sure they have a place to work: a friend of mine once told me that his parents were concerned his brother wasn’t doing his homework. After they bought him a desk for his room the problem largely disappeared. Tech-free zone: As a teenager, I was addicted to the game Football Manager, and would secretly play it while pretending to do homework, quickly turning off the monitor at the sound of footsteps coming up the stairs. Gadgets create a huge distraction for kids, and while the internet can be a priceless tool for homework, it is important to make sure it doesn’t prove costly. Give your child control: children hate being told what to do and when to do it. Allowing them to set their own homework schedule can have a huge benefit. While some kids like to relax for a while after school, others prefer to get homework over and done with, so communicate and listen to their preferences. What part of the world do you live in, and how much homework do your children do?